The National Police has arrested a man as alleged perpetrator of a crime against intellectual property and fraud by forging works of art by Edvard Munch, Eduardo Chillida and José Guerrero and selling them later in auction rooms posing as a dealer known in the world of art, has informed the Police Headquarters of Madrid. The investigation began last March when a gallerist based in Germany denounced in the National Police a scam after acquiring a work of art in a gallery in his country allegedly attributed to Eduardo Chillida and that turned out to be false. The agents verified that this work had been ceded to the museum by a Spanish male resident in the Madrid capital. After several inquiries, agents of the XXVII group of the Provincial Judicial Police Brigade dedicated to the prosecution of crimes committed against intellectual property, discovered that this individual had deposited eleven falsified works in an auction room located in Madrid and that five others already They had been sold for a value of almost 20,000 euros . The modus operandi consisted in gaining the confidence of commercials of establishments selling high-value objects by the bidding system, presenting itself as a character known socially for its relations with prestigious international artists. Thus introduced the works and once sold tried to place pieces of greater economic value. Once this individual was located, he was arrested on Monday as the alleged perpetrator of a crime against intellectual property and a crime of fraud, and 16 forged works of reputable artists Munch, Chillida and Guerrero were recovered. 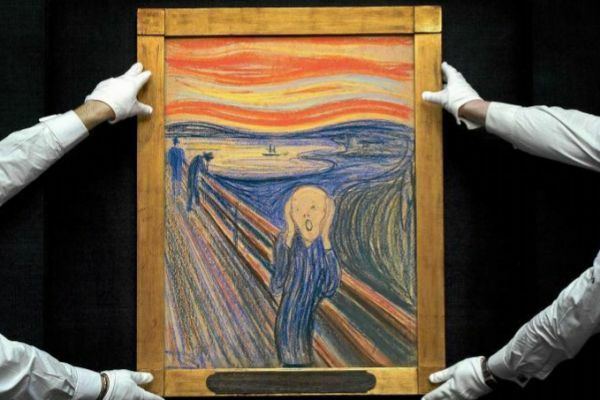 The economic value of all the pieces exceeds 250,000 euros ranging from 400 euros the lowest value and 115,000 euros of the artist Munch piece. The investigation continues open to check if there are more counterfeit works attributed to the detainee.